With your new lighting by Quigley’s the unknowns are open to view. From finding the walkway to seeing what is lurking behind the shrubs your view is enhanced for the better with uplighting. Image of a modern home being uplighted by landscape lighting. Uplighting beauty, structure, and artificial light. When you uplight your home there is a glow on the surrounding area as the light is reflected back downward. This glow of artificial light helps to illuminate the immediate area around the home. Uplights trained on the structural parts of your home will make it stand out in the evening skyline. Darker areas fade away and the beauty of the house stands out. Get safety and security as your home is more likely to be avoided by unwanted visitors because of being seen. 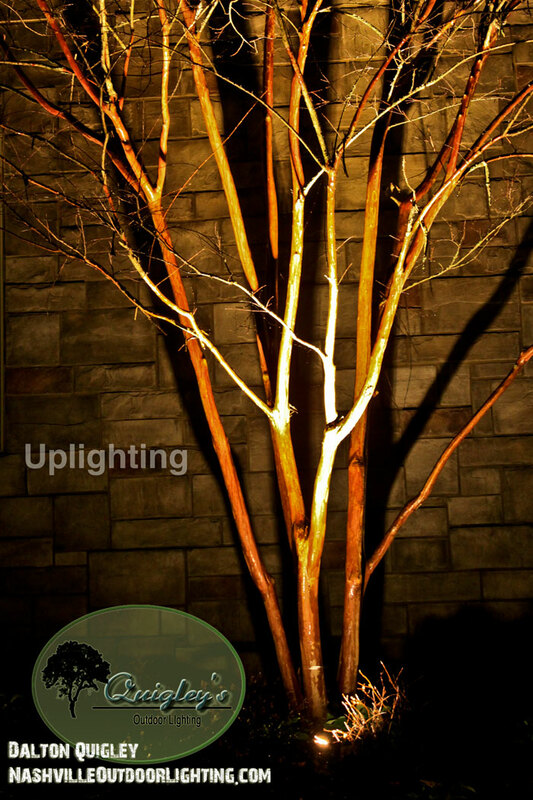 Image of a Crape Myrtle being uplighted by landscape lighting. 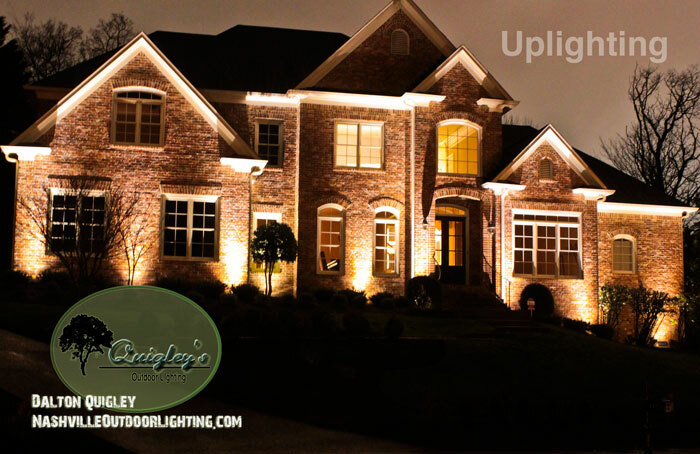 Uplighting lighting installation on your home, walls, columns, or trees. We proudly service the areas of Nashville, Brenwood, Franklin, Spring Hill, and Nolensville TN.